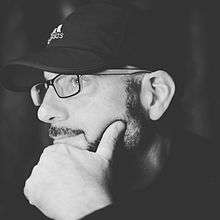 Christopher "Chris" Edmund Stevens (born November 29, 1967), is a four-time Grammy winning American record producer, mix-engineer, and songwriter based in Nashville, Tennessee. Stevens was born Christopher Edmund Stevens, on November 29, 1967, in Eugene, Oregon. He graduated from North Eugene High School. After working as a composer for video games in the 1990's, Stevens eventually relocated to Nashville, Tennessee to pursue songwriting and record production full time. Chris Stevens has produced and mixed contemporary Christian music artists TobyMac, and American Idol finalists Mandisa and Colton Dixon, among others. Stevens has also worked on projects for country artists Blake Shelton and Carrie Underwood. In September 2013 Stevens traveled to Barcelona, Spain, to work with International pop star Shakira on her 2014 studio album, lending his programming talents on several of her songs. He has also contributed his skills on two studio albums, Nothing Left To Lose, and Just Kids (album) for fellow Oregonian and Universal Republic recording artist, Mat Kearney. Stevens has handled production, writing, and mixing for numerous artists under the EMI CMG, Word Records, Provident, INO Records, Gotee Records, and Curb Records labels. Stevens is credited with programming and keyboards on the Carrie Underwood single "Cowboy Casanova". In 2015 Stevens began working with disco R&B legend Gloria Gaynor and is currently finishing her roots gospel album entitled "Testimony." The album is slated for an early 2017 release. In 2016 he began focusing on songwriting in the Pop/Country genre and, thus far, has had songs recorded by David Lee Murphy, Justin Moore, Morgan Wallen and Drew Baldridge. 1 2 3 4 5 6 7 8 9 10 11 12 13 14 15 16 17 18 19 20 21 22 23 24 25 26 27 28 29 30 31 "Christopher Stevens : Credits". AllMusic. Retrieved October 12, 2015. ↑ "Christopher Stevens : Awardss". AllMusic. Retrieved October 12, 2015. 1 2 "Bio". Fabmusic. Archived from the original on June 9, 2012. Retrieved October 12, 2015. ↑ Broadcast Music, Inc. "Songwriter/Composer: STEVENS CHRISTOPHER EDMUND". Broadcast Music, Inc. Retrieved June 4, 2015. ↑ Stevens, Christopher (November 29, 2011). "busy bday! mixing a smash today for @itsbrittnicole and @davidgarcia83, writing with @therealtobymac and doing a new mlb playstation theme.". Twitter. Retrieved October 12, 2015. ↑ "Christopher E Stevens in Nashville, TN". Retrieved October 12, 2015. 1 2 "Christopher Stevens". LinkedIn. Retrieved October 12, 2015.